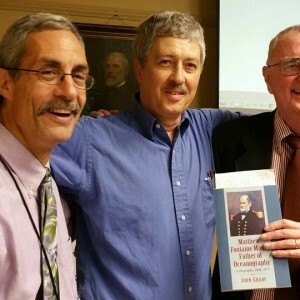 I was very touched by the warm introduction that John Coski, right, gave me at the Museum of the Confederacy last week when I spoke on Matthew Fontaine Maury’s contributions to the defense of Virginia in the early days of the Civil War. John, the museum’s historian, is the author of Capital Navy and helped me immensely in researching my Maury biography. He duly noted in his introduction that Maury’s handwriting was atrocious, a fact that would be seconded by everyone who tried to decipher his scrawl. 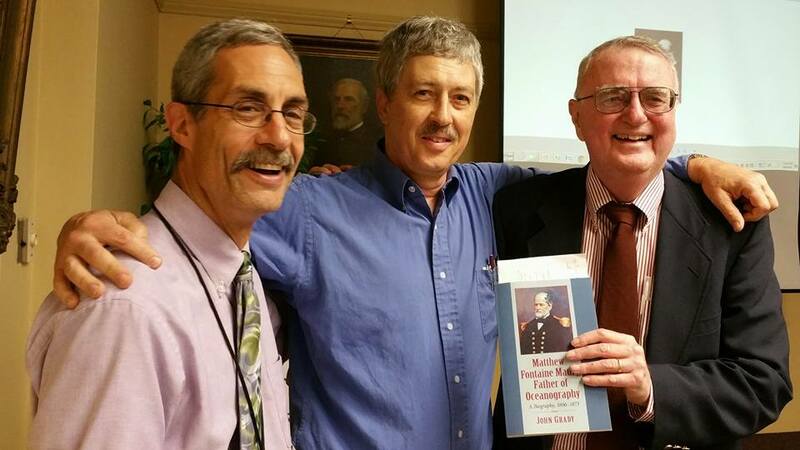 Bill Melton, center, is a Daily Press colleague who knows how long this book took to be published.